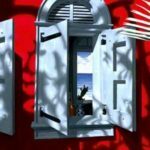 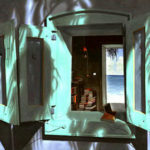 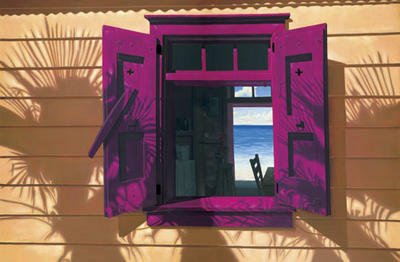 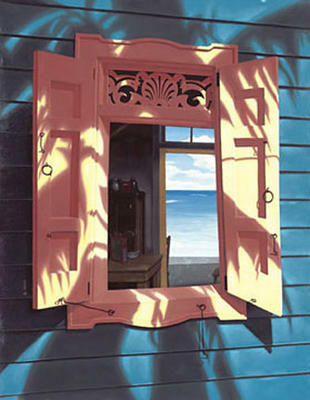 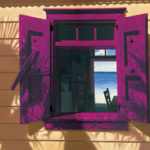 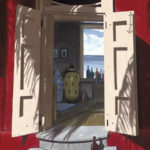 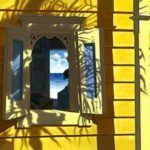 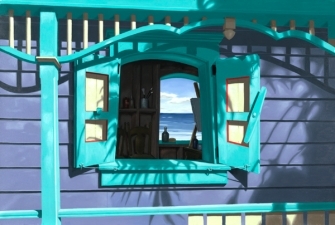 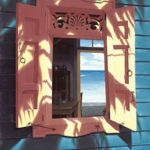 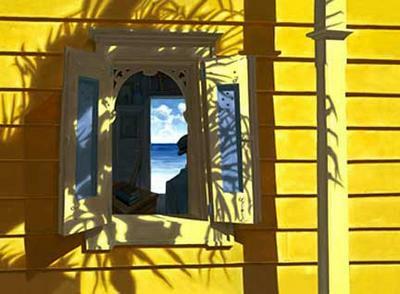 Don Dahlke’s art is meant to evoke a certain feeling of warm summer days and ocean breezes, and it certainly does that. 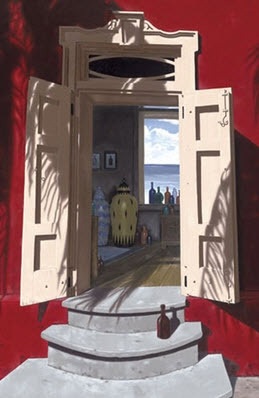 Those emotions are created through strong light and shadow, and a definite sense of space and structure within the paintings. 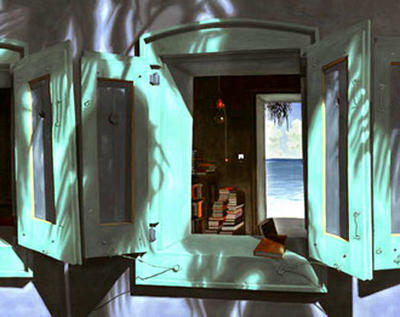 It’s shadow and light, however, that play the most important part in these paintings. The light coming off of the buildings seems almost too “bright” to look at, even though in a painting that’s not technically possible. 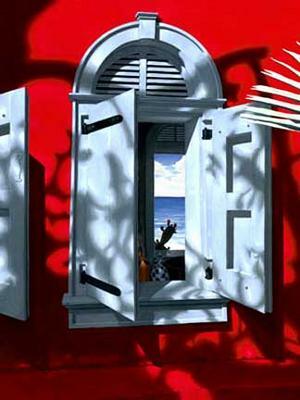 It’s Dahlke’s use of contrast the fools the eye into thinking that way.